Rubinstein recorded the Chopin Concertos numerous times. 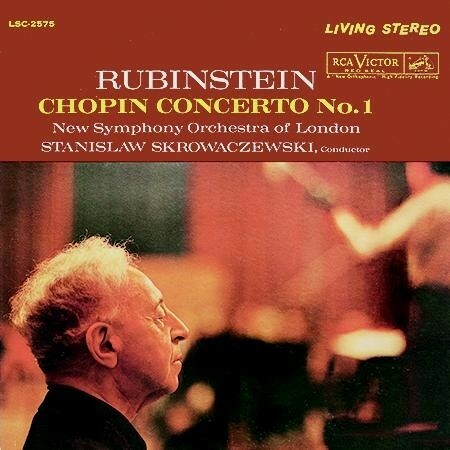 This version of Chopin's first Concerto is particularly successful, partly thanks to the sensitive accompaniment of the New London Symphony Orchestra, conducted by Stanislaw Skrowaczewski. Tempos are well-judged and phrasing is supple and natural.